December 2008: Martin Fisher faced huge transport problems in saving the superb double-diagonal mahogany hull of this 60ft former Royal Navy pinnace, built by Groves & Gutteridge on the Isle of Wight in 1943 and operated after the war as a private yacht by Sir Harry Ricardo. 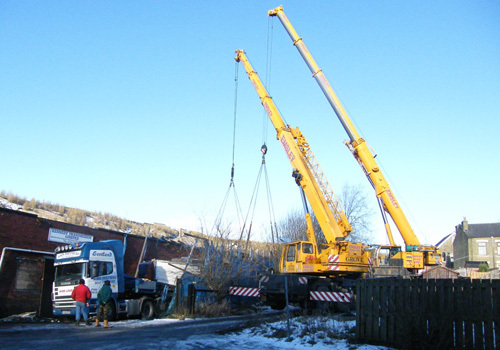 At 18.3m x 4.49m beam, weighing 16 tonnes, she was too tightly laid up in Spodden Mill, at Facit, near Rochdale, Lancashire, to be lifted by a single crane and too long to turn on a 70 foot trailer through the narrow streets of the old mill village. 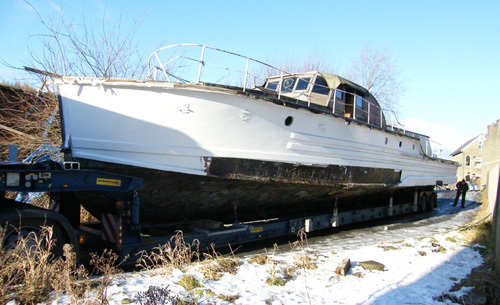 Martin brought in the team from Sealand Boat Deliveries who installed the hull in 2004. 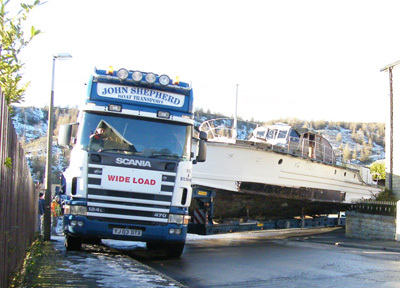 They lifted and loaded her to a steerable, extending trailer operated by John Shepherd Boat Transport in Kilmarnock for the long haul to Banff. 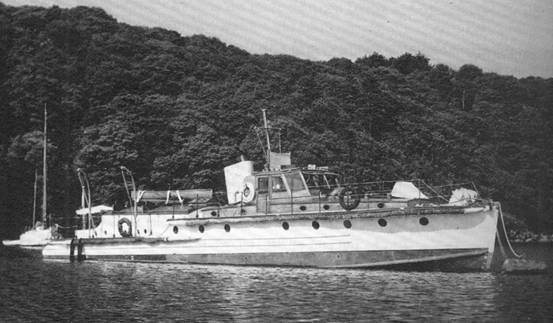 CAPRELLA, now listed on the British register of historic vessels, is one of the few wartime power boats to retain her original lines, thanks to Sir Harry Ricardo [1885-1974], the great engine designer who installed a pair of V-8 Dorman Ricardo 8VRM diesels but kept her hull unchanged when he commissioned her as a yacht after the war. Between 1930 and 1950, British power boat designers were leading the world. CAPRELLA appears to be the last survivor of the TRSBs [torpedo recovery and safety boats]. 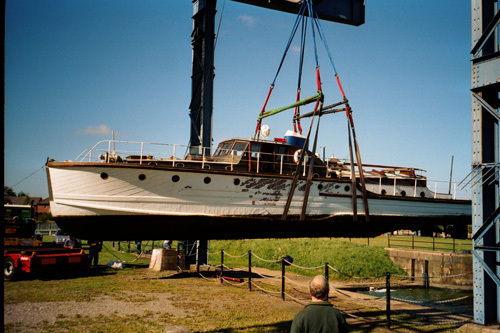 In 2004, the Kennedy marine engineering firm commissioned Sealand Boat Deliveries to bring her from Preston Dock to their works at Spodden Mill where they refitted her internally with mahogany, teak, iroko, afzelia, utile, opepe, wenge and oak, installing two Perkins Phaser 6-cylinder diesels and new Newage gearboxes. CAPRELLA's original Dorman Ricardo engines have been saved for overhaul and re-installation at Banff. 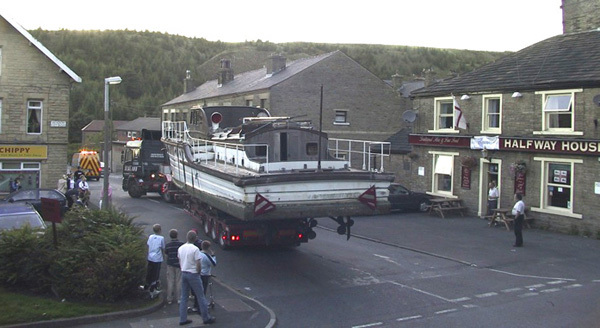 CLICK this picture to go back to boat transport news.